Click here to print a consultation request form. After completing the form, scan and email the form to bcmh@franklincountyohio.gov, or fax the form to (614) 525-6673. We serve those children living in our jurisdictions. 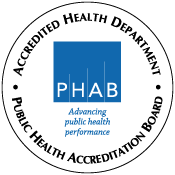 Who are the Franklin County PHNs? Each PHN has a caseload that is determined by zip code. For example, if a CMH enrolled child lives in the zip code of 43004, that child would be under the care of Stacie Williamson. Click to view the list of PHN assignments by zip code.